While the mainstream media is trying to keep the general public occupied with the topic of "Major Influenza Epidemic Deaths" from the 2017-2018 flu season, it would serve everyone well to provide the actual data. 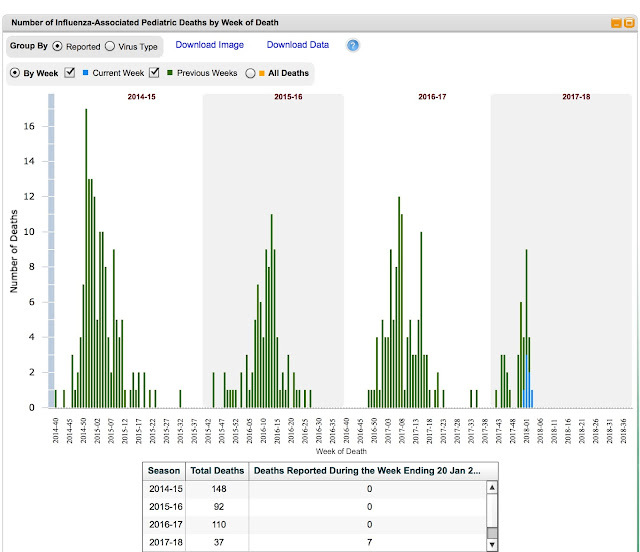 While there were certainly some pediatric deaths during the 2017-2018 influenza season, this is actually expected, and there is little medical science can do to make the number equal zero. There are simply too many underlying factors that may make a child, infant or elderly person particularly susceptible to severe illness from infuenza. The most common issue are underlying sub-clinical infections or supra-infections that manifest from a compromised immune system. 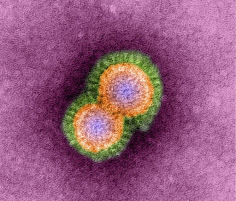 For the 2017-2018 influenza season, you will immediately notice that there are 37 deaths attributed to the flu (in order for this determination to be made, the treating medical personnel must obtain a culture of saliva or other body fluids to determine the presence of Influenza infection / antibodies, etc. Regardless, this year is no different than most others, and in fact, it is lower.... much lower than previous seasons. The data comes directly fro m the Centers for Disease Control (CDC) and their network of infectious disease monitoring as well as the Morbidity and Mortality reports. The takeaway from this is to always try to double check information that sounds overly hyped and is dominating the media. Often this is a clue that there are other stories that the mainstream media does NOT want to report on. I will let you determine what those other issues may be that the mainstream media is trying to ignore on purpose. 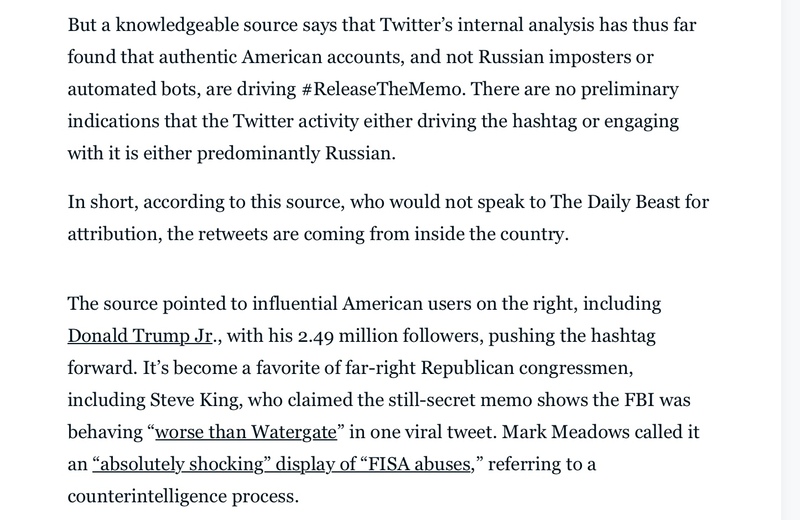 Democrats in Congress Lost Touch With Reality And Ask Twitter / Facebook To Investigate #ReleaseTheMemo "Russian Bots"
It appears that at least from one source inside the Twitter Safe Space, that there is someone denying the "Russian Bot" conspiracy, at least with #ReleaseTheMemo. I know I am not a Russian Bot. 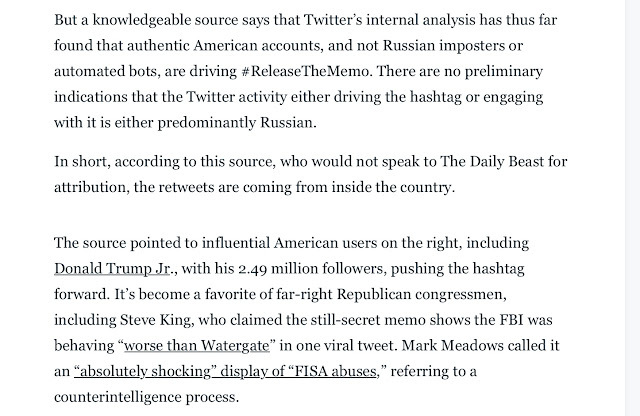 I know many that I interact with on a daily basis, both on and off social media (but all of which have Twitter / Facebook accounts) are not Russian Bots, and in fact we've even changed our names to some variation of #ReleaseTheMemo. Now for clarity, let's pretend for one moment that ANY of these came from Russian Bots. Let me put this into perspective for you. During the height of the 2016 US Election, where there were accusations running rampant among, well, everyone, that Russia had used social media to influence the election, Twitter's own findings simply didn't pan out to anything significant. You are reading that correctly. 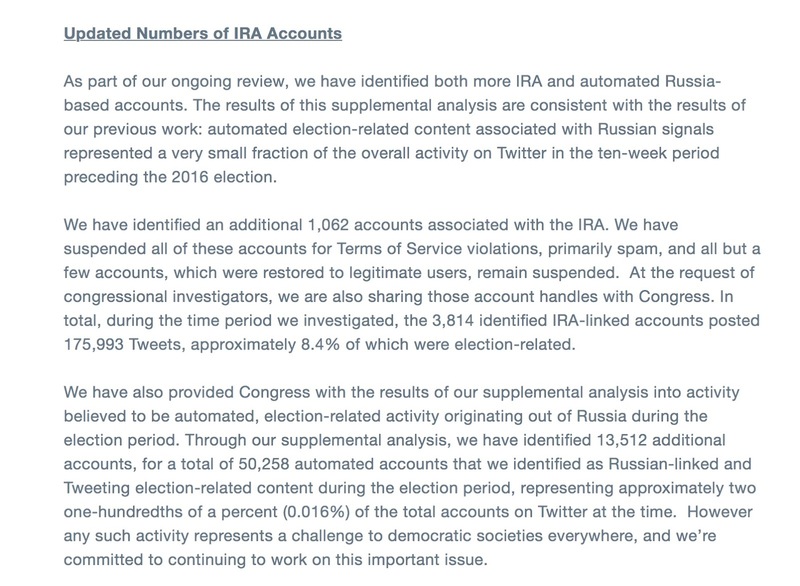 A grand total of 50,258 accounts were identified as "automated accounts" with some tracks back to Russia linked IRA (it's a bot farm, but that's not important right now). The important fact is that those 50,258 TOTAL ACCOUNTS, are but only 2/100'ths of a percent of all accounts on Twitter, or (0.016%). I will let scientists calculate what that means in real-life, but it's on par with winning the Powerball lottery. 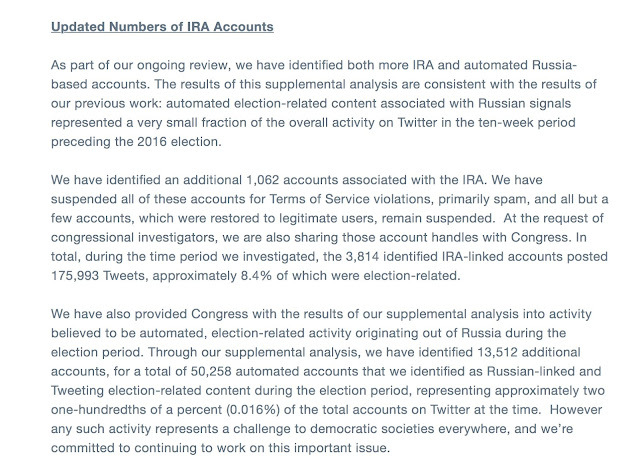 Conclusion: Russian bots are a small, and insignificant aspect of Twitter life. I guess Adam Schiff and Diane Fienstien didn't bother to dig into the weeds on that first, did they. What say you @Twitter? Facebook? @Jack? Anyone? Jerome R. Corsi is a staff writer for InfoWars. He received a Ph.D. from Harvard University in political science in 1972 and has written many books and articles, including co-authoring with John O'Neill the No. 1 New York Times best-seller, "Unfit for Command: Swift Boat Veterans Speak Out Against John Kerry." Corsi's most recent book was authored with Michael Evans: "Showdown with Nuclear Iran." Dr. Corsi's other recent books include "Black Gold Stranglehold: The Myth of Scarcity and the Politics of Oil," which he co-authored with WND columnist Craig. R. Smith, and "Atomic Iran." Dr. Corsi is not associated with this website. 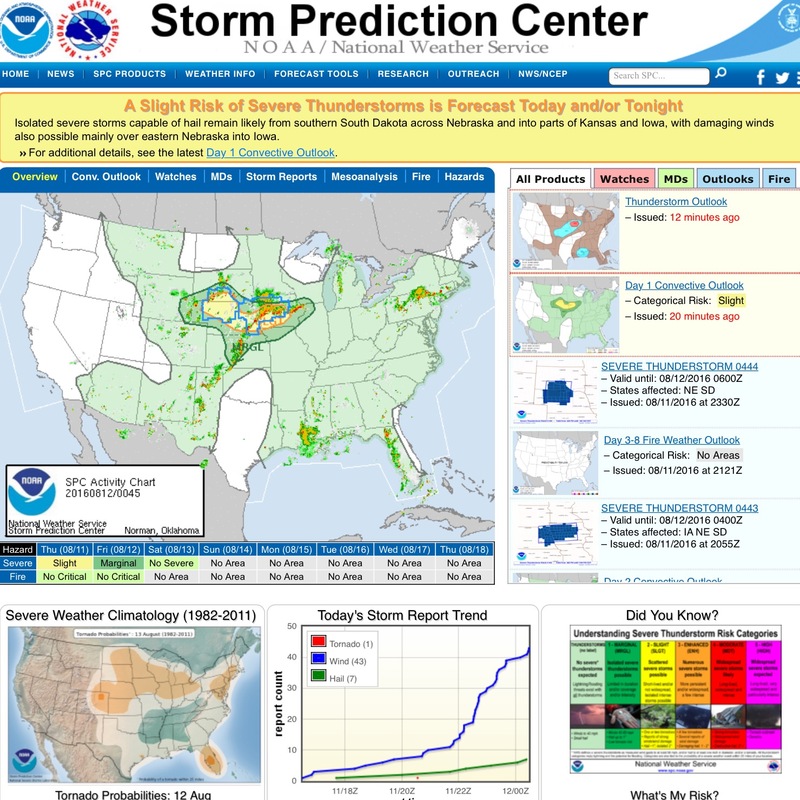 Information is presented for archival and general education purposes. 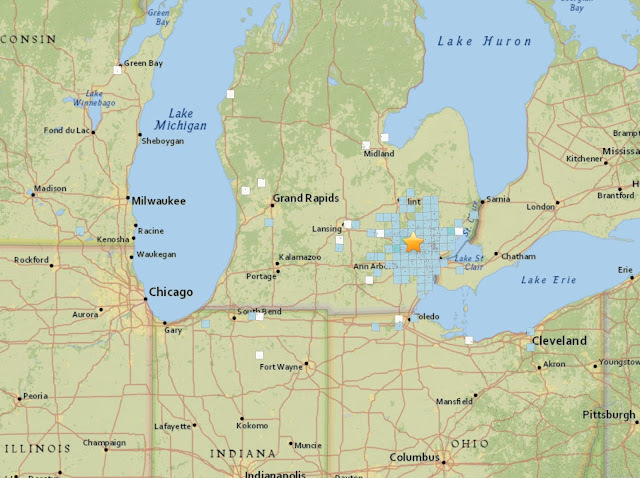 QUESTION OF THE WEEK: DID A DIRECTED ENERGY WEAPON (DEW) HIT MICHIGAN / DID A SATELLITE HIT MICHIGAN / DID A MISSILE HIT MICHAGAN ON JANUARY 16, 2018? Before answering this, it's important to look at a few facts that are not easy to find, but are out there in the open source intelligence realm if we look hard enough. Now it's important to rule out the obvious first, so bear with me while I go through three quick facts for you.... I assure you I don't end it as "well there you have it" like the shills at Snopes do. We are going to dig a bit deeper. Fact 1: There was an oil refinery “controlled burn” at the time a bolide meteor flew across the skies of Michagan on January 16, 2018. There appears to be a statement issued to confirm this. I will post the official one once I find it. But for now, we have this from Fox8 in Michigan that at least confirms it was a controlled burn occurring before the meteor made its appearance. Fact 2: “Light Pillars” were present in the atmosphere on January 16th as well as days before the meteor showed up. 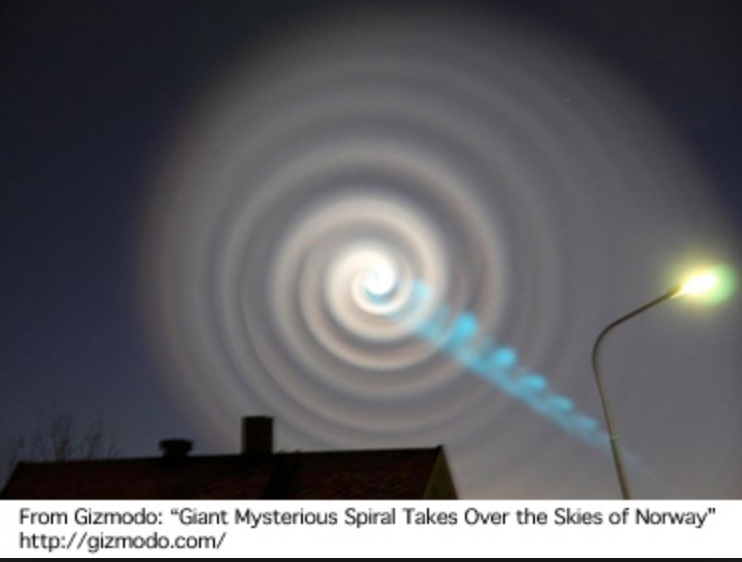 It’s a phenomenon where hexoganal ice crystals absorb and reflect light from any strong light source on the ground and at the correct angle, a person standing at the correct position would observe a pillar of light that reaches upwards towards the sky. Conditions must be just right including ample cold weather and very calm winds. 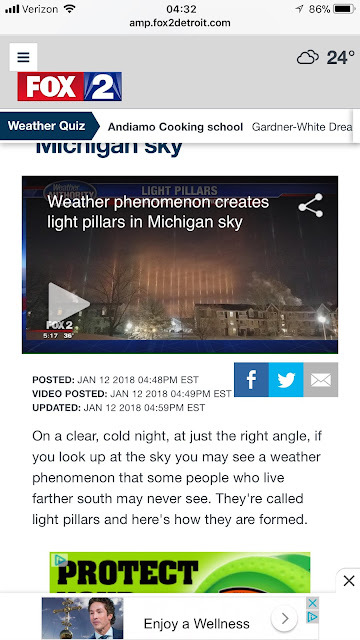 This is news to me as I’ve never seen a light pillar, nor have I ever heard of one, so I will let you be the judge on that one. In any case, link is right here if you are so inclined to learn about these. 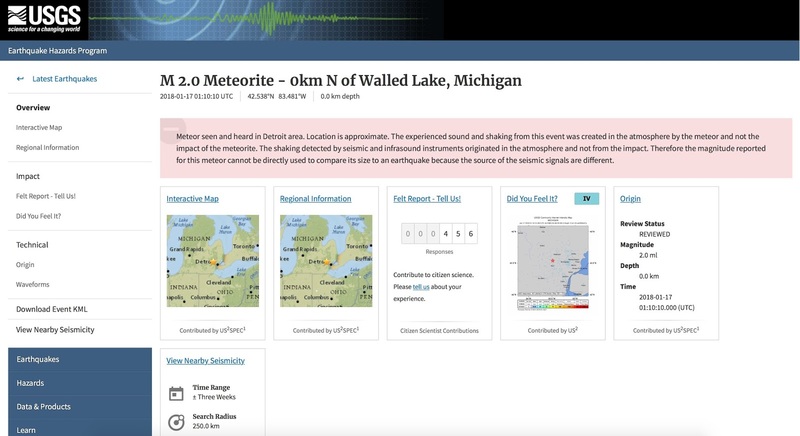 They were also reported before the meteor on January 16th as well as on January 16th. 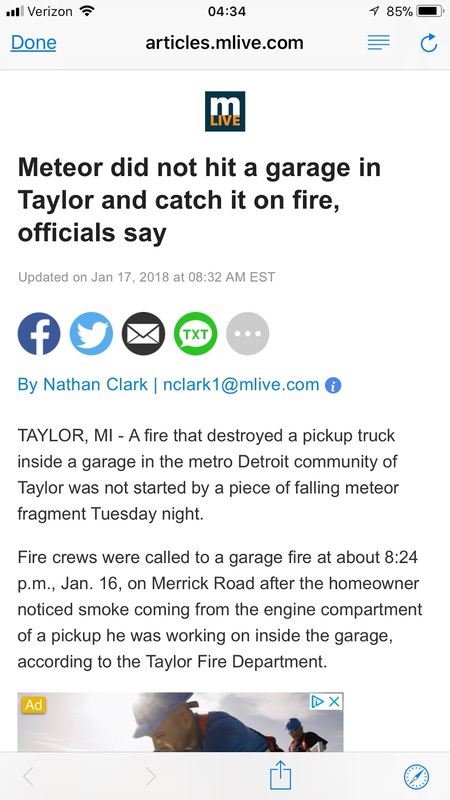 Fact 3: There was a garage fire in a local Michigan neighborhood that was reported around the same time as the visiting meteor on January 16th. 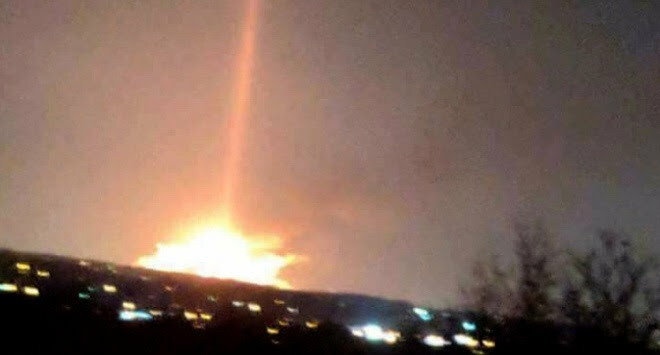 It is alleged that the photos of people on their cell phones on a residential street (likely calling 9-1-1) were observing that fire, and not a meteor explosion on the ground. I’ve done some digging on this particular topic as it got my attention the most, however, the sources for the images are nearly impossible to obtain. Let me rephrase; I could not find the original source, so should anyone find the source, please let me know. 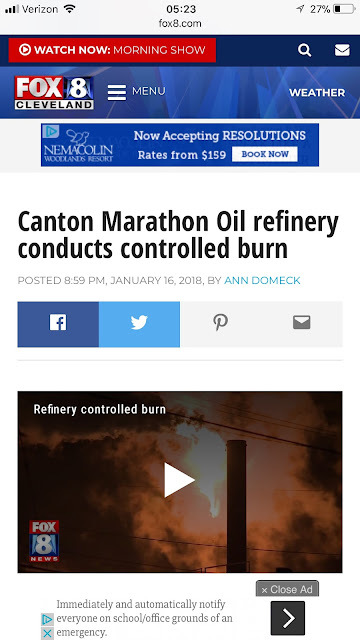 In any case, here is the link for the report in local news about this fire. So those are the facts that seem to explain much of what was being reported all over social media for over a week. Maybe. FACT 1: On January 14th, on either 4Chan or 8Chan /pol/ comes this post. I can’t explain it, nor were any specifics given. 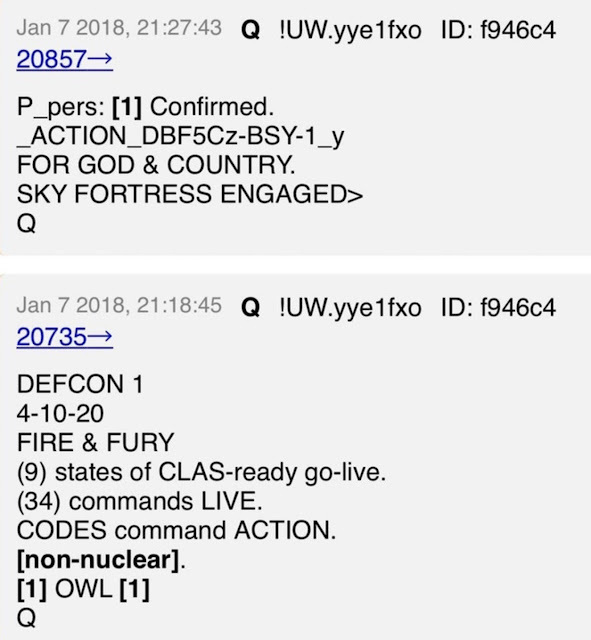 However, given the incident in Hawaii only a few days before, as well as other posts on 8Chan From the enigma known as “Q”, I simply can not dismiss this as nothing. This appears sort of consistent with it "not being an earthquake" as earthquakes usually dissipate over distance. We don't have a match here do we? No we don't. The meteor that allegedly caused the "earthquake" doesn't have that nice peaked spike in audio, rather, it's flat and nearly constant. Compare that to a similar event such as the one in Chelabinsk, Russia... and we have a problem. FACT 4: We know from NASA, NOAA and AMS, that they all believe and are calling the January 2016 event in Michigan a "Bolide" type event. 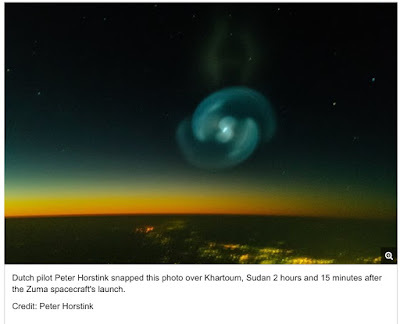 That is, a meteorite that explodes in the atmosphere as it enters at high speeds. The AMS has stated that this particular event was the result of a bolide around 9ft in diameter traveling around 28,000MPH. "Space debris encompasses both natural (meteoroid) and artificial (man-made) particles. Meteoroids are in orbit about the sun, while most artificial debris is in orbit about the Earth. Hence, the latter is more commonly referred to as orbital debris. Orbital debris is any man-made object in orbit about the Earth which no longer serves a useful function. Such debris includes nonfunctional spacecraft, abandoned launch vehicle stages, mission-related debris and fragmentation debris. There are more than 20,000 pieces of debris larger than a softball orbiting the Earth. They travel at speeds up to 17,500 mph, fast enough for a relatively small piece of orbital debris to damage a satellite or a spacecraft. There are 500,000 pieces of debris the size of a marble or larger. There are many millions of pieces of debris that are so small they can’t be tracked. Even tiny paint flecks can damage a spacecraft when traveling at these velocities. In fact a number of space shuttle windows have been replaced because of damage caused by material that was analyzed and shown to be paint flecks. 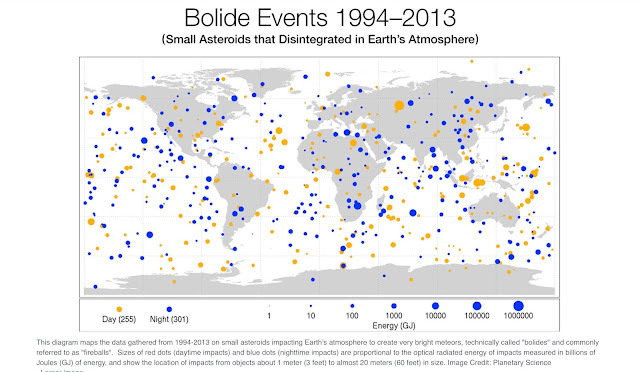 With so much orbital debris, there have been surprisingly few disastrous collisions. In 1996, a French satellite was hit and damaged by debris from a French rocket that had exploded a decade earlier. On Feb. 10, 2009, a defunct Russian satellite collided with and destroyed a functioning U.S. Iridium commercial satellite. The collision added more than 2,000 pieces of trackable debris to the inventory of space junk. China's 2007 anti-satellite test, which used a missile to destroy an old weather satellite, added more than 3,000 pieces to the debris problem." 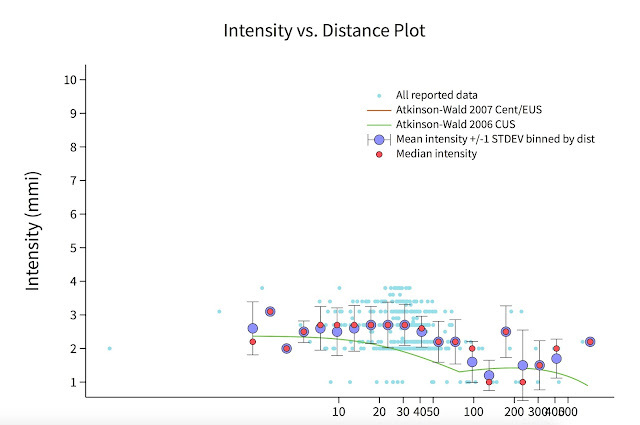 While we do have radar signatures of an item careening through the atmosphere, it is within the speed ranges and size of either a bolide or satellites. NEXRAD radar simply can't make that kind of distinction, so this leaves at least two options on the table. 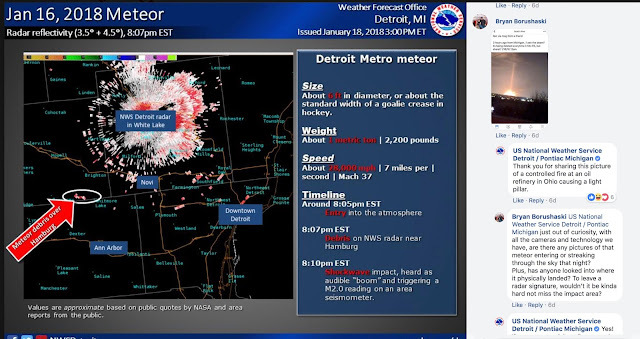 So did a Missile / Directed Energy Weapon / Satellite hit Michigan on January 16th, 2018? The short answer is: I just don't know based off of the information available. I think given the scientific evidence, we can rule out a missile. Missiles re-entering the atmosphere (if aimed and allowed to follow their trajectory) don't tend to create that type of visual effect as they are aerodynamic by design. Even if destroyed upon re-entry, their velocity would then be greatly reduced to the point where there would be ample debris and evidence of combustion (i.e. smoke plumes / trails) none of which were reported. 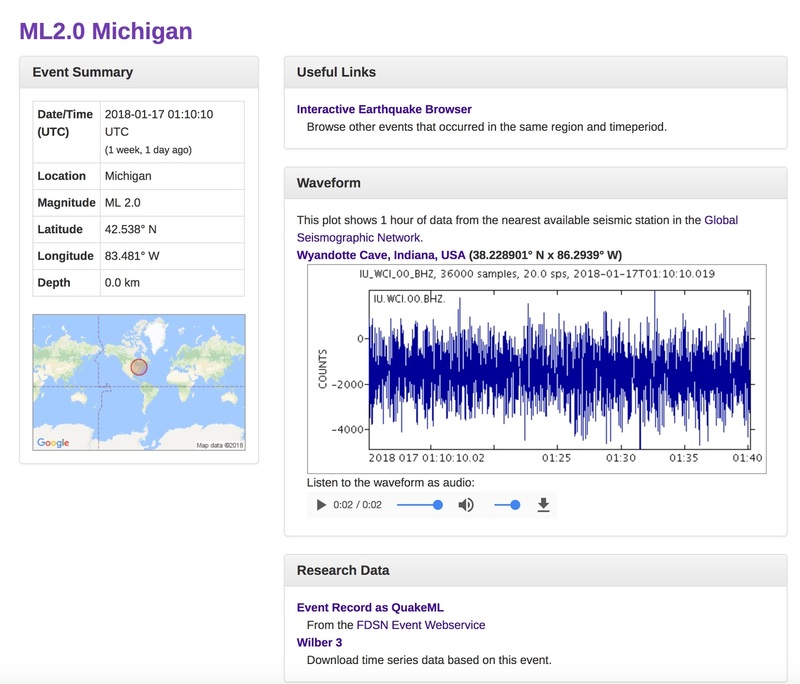 It's also unlikely that a missile would possess the necessary mass to create a 2.0 level / magnitude "earthquake" or similar sensation. Therefore, it's my opinion a missile is unlikely. Directed Energy Weapons are the baby of DARPA and other clandestine operations, and therefore, there simply is not enough open-sourced intelligence to make any conclusions. Satellite falling to earth / kill vehicle took out another nation's satellite? This remains an option I am open to for several reasons, most of which I am still looking at while this article is being written. We know that ZUMA was launched prior to this event, and it's been rumored to have been "lost" then "fully functional" and the truth is, we have no clue what the status or mission of ZUMA really was / is / will be. I am leaving this option fully open. We are not talking about massive, red-hot glowing chunks of rock the size of a bowling ball or larger; the particles found are about the size of a golf ball. And they were embedded on top of a snow-covered lake. Pretty amazing find! To put this into perspective, picture any stretch of beach... imagine someone painted one grain of sand black and tossed it randomly into the sand. Now go find that black grain of sand. What are the chances of finding it, regardless of any sophisticated tools or hundreds of people helping you out? Pretty slim right? 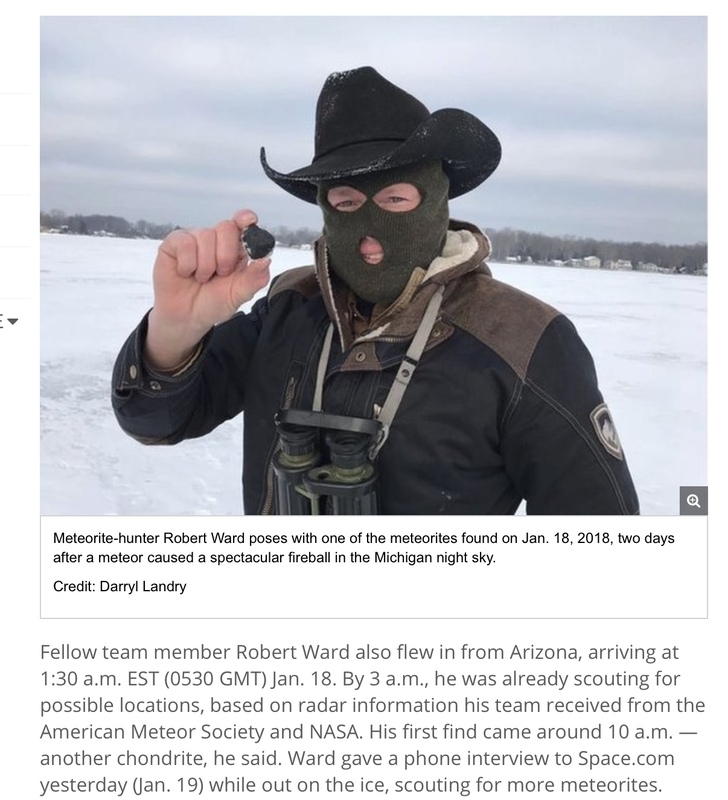 It's not much different when searching for a small space rock, over hundreds of square miles in the dead of winter in Michigan. Same concept as finding a grain of sand on a beach, slightly larger scale, but not by much. In any case, feel free to read this incredible story if you wish here. Personally, I am not buying it, but that's me. 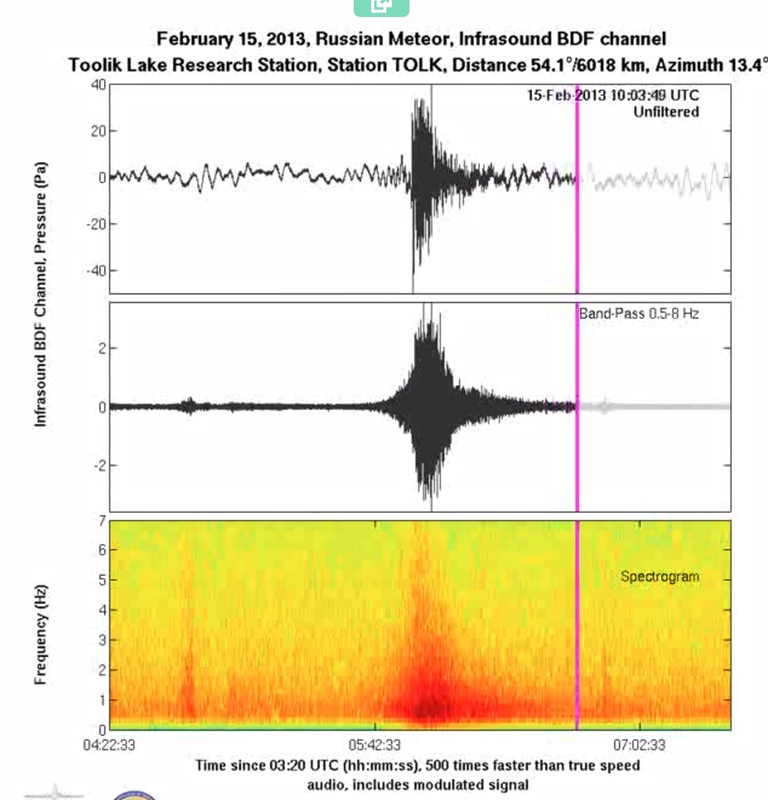 Finally, the January 16, 2018 event doesn't exactly match prior known meteorite / bolide strikes, and we can prove this. 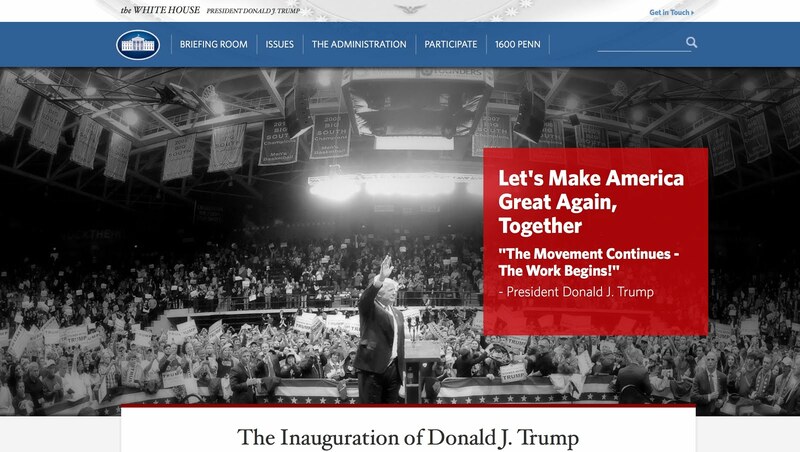 Additionally, we have that mysterious message from /pol/ posted on January 14, 2018. 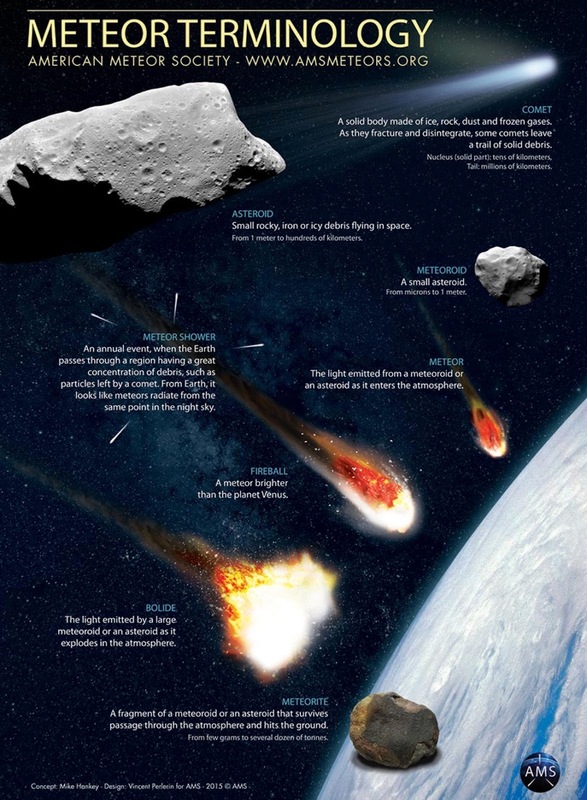 Therefore, while I am inclined to lean towards a bolide / super-bolide type event given some of the video footage we have, there is enough of an open door for it to be something other than a meteor / bolide. NOTE: This report will be updated ongoing as facts become available. PFN TRAC technology provides the capacity to organize, record, report, relay and control data and equipment from a local protected control/router to create a large machine messaging matrix. Sharing or replacing local and standard Human Machine Interfacing HMI with accountable automated human assist controls, robotics and/or remote control accomplishes this. Additionally, the networking of various wireless technologies can be interfaced via a unique routing and translation process powered by stable current supplies from the machines, vehicles and equipment they are attached to. This filing and use of PFN/TRAC controllers/routers deals with transportation and specifically avionics and air travel. It employs other similar PFN TRAC ASICS and technology from separate applications, but specifically to complete an air travel and transport management system with the FACT Security program. This management and security system manages and monitors all equipment, materials and personnel through the airport and gate to gate in the skies. This advanced human machine interface provides for accountable remote and automated control of all machinery interfaced and controls traffic flow and movement on and near the earth s surface. The PFN TRAC units and system also records and reports all use and impacts and can proactively stop the unauthorized use or unsafe use of vehicles, aircraft and equipment. Further auto evaluations performed by the PFN controller/router and networks interfaced can determine tampering and improper interfacing in real-time. For those who follow my twitter account, many will notice in between the usual political banter back and forth, the memes and the rhetoric in support of our President, Donald Trump, there is also frequently the monitoring of aircraft in various manners. This can range from broadcasting a simple Squawk7700 (aircraft having a general emergency) to following military aircraft during their operations. Many have asked the question "WHAT DOES THIS MEAN? HELP!!" Hopefully this article explains the purpose behind what is happening on my timeline. This may take a little bit of reading, but at the end, you should walk away with more knowledge than the average "sheep" that is blissfully sleeping and unaware of the evils that surround us daily. To understand what is happening now, we need to step back and recall a few comments by then-candidate Hillary Clinton, who during her campaign made a clear point to bring up a "first-strike" scenario where the President MUST be ready to use the nuclear forces the United States possesses in its arsenal; basically accusing President Trump that he would not, and that Hillary Clinton herself was in fact a WAR HAWK ready to send the planet into a nuclear armageddon. Nancy Pelosi, Democrat House Minority Leader, brought up during a press conference that she stood behind the candidate Hillary Clinton who believed in the use of nuclear weapons as a "first strike contingency." "I believe if we (as America) are to move forward with [national security], it's all about our presidents, be it he or she, no matter who it is as we move down the road." This shows the collusion between the DNC and the then-candidate Hillary Clinton to stand behind a candidate that is ready to use nuclear weapons immediately. This is a reason to pause for concern as there are multiple ways to manage threats without the use of nuclear weapons. In fact, Donald Trump has proven since his time in office, that there are in fact multiple ways to NOT use Nuclear Weapons; President Trump has shown amazing restraint with the situation in North Korea, as he has had the option to use nuclear weapons on any one of the multiple nuclear ICBM tests, the multiple missile launches, the saber rattling, etc. In addition, Trump has faced various threats and issues in Syria, Iran and China, none of which included any nuclear force. These words resonated with the military community online, particularly Twitter and YouTube. There was much analysis done on this one particular post as it contained keywords that those in combat would recognize immediately, and the general public likely would not. RED_OCTOBER> - Likely refers to a nuclear capable submarine. It is interesting to note the ">" sign at the end... indicating the submarine in real life that may be a threat, is less than capable of the submarine in the movie "Hunt for Red October" which was a top line Russian Nuclear Submarine (although fictional). It is not known if the ">" sign indicates it is less than capable, or that the submarine (if part of a plan) would not succeed. It is my opinion based on all facts available that the ">" indicates that the submarine in question would not succeed in any mission it is involved in. What the past tells us clearly, is that we need to be ready for anything, and everything. 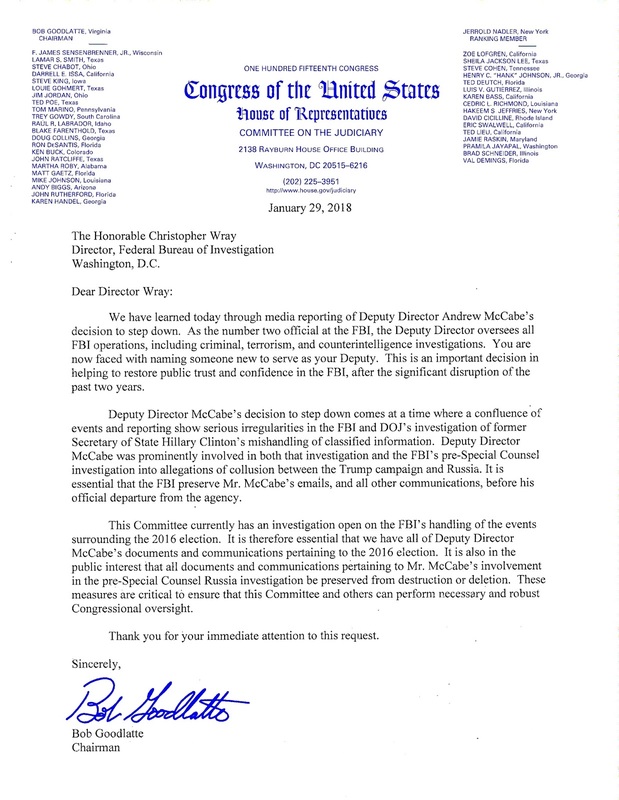 That could not have been made more clear than on January 13, 2018. 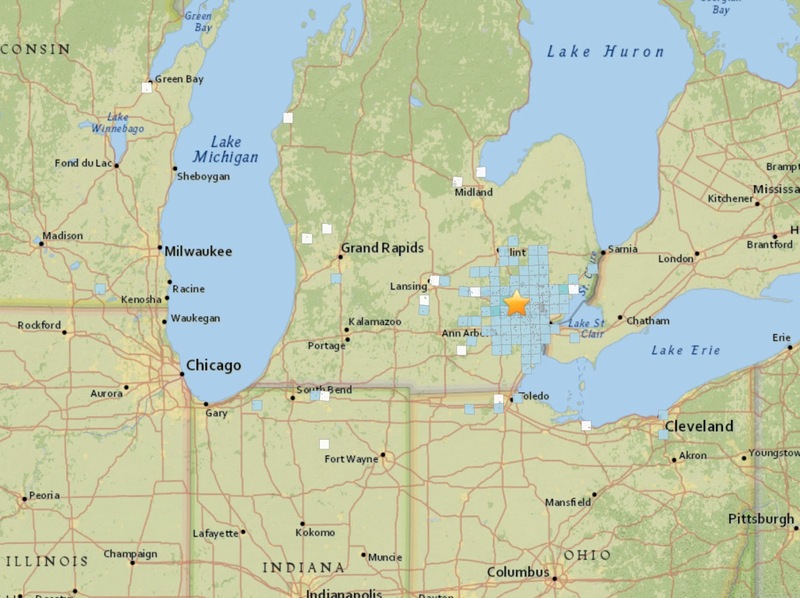 The excuse given for this major catastrophic false alarm that sent 1.5 million local residents and guests into the largest panic in United States history: "It was a shift-change" OR "Worker hit the wrong button." I won't even try to explain here how ridiculous both of these excuses are, but save it to say, neither are plausible. There are too many fail-safes installed into such systems that a single user could simply push the wrong button and send an entire state into a full panic. 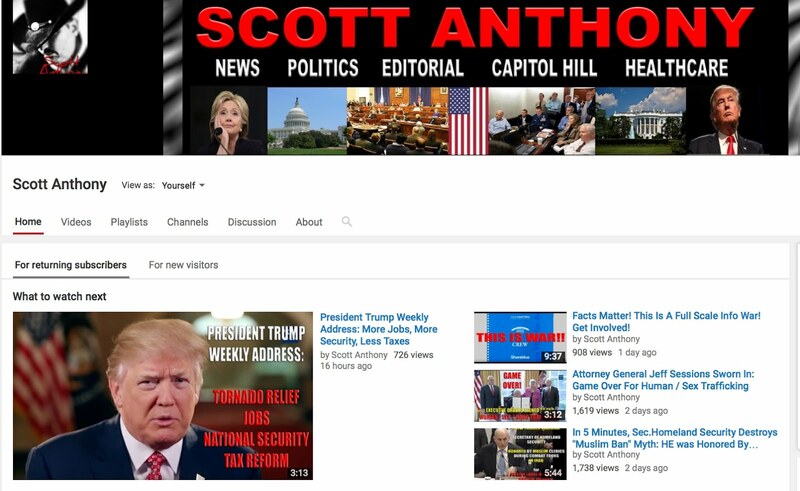 Now, things happen, and although I am not a subscriber to the "School of Coincidence" at all, this just cements my reason for never believing in "coincidences." 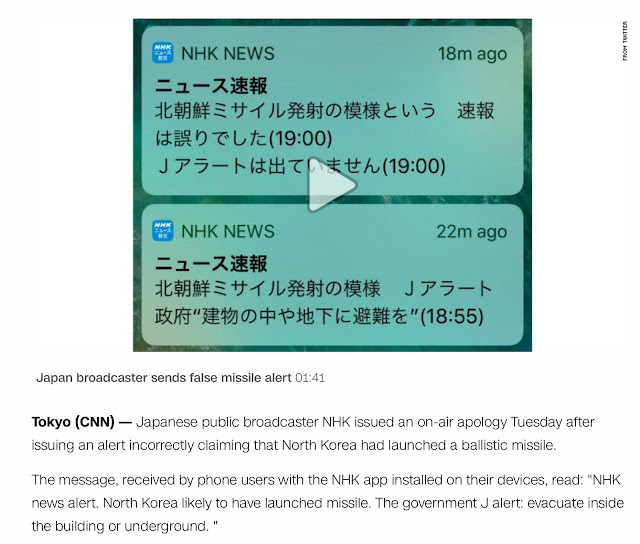 The chance that a US State Emergency Management Office would issue a false alarm for an incoming ICBM Nuclear Weapon giving residents 13-14 minutes of time to make peace with their God, is pretty slim. So slim that I would say it is so very unlikely I would place it at 1,000,000,000 :1 odds. Now, lets add in that less than 4 days later, another country, a U.S. ally, does the EXACT SAME THING.... let's factor that in, and the odds jump much higher. I would place those odds in the same realm of one would stand a better chance of being hit by an asteroid, but that asteroid doesn't kill them, instead it sprinkles the person with fairly dust, an extra-terrestrial pops out and hands the person $1Billion in cash, a unicorn, and free Netflix for the the entire planet. Ridiculous? Absolutely. But so are the odds of this happening twice in one week, let alone EVER. Now lets also be very clear here... this message was highly irresponsible given what DEFCON means; Defense Condition 1, Nuclear Strike on the US is Imminent! 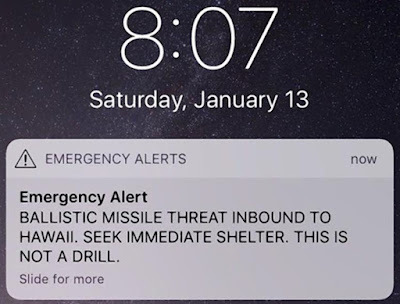 Oh wait... that did happen, at least as far as those in Hawaii were concerned. Although thankfully, whatever did happen, was thwarted. I urge everyone to watch Lt. Colonel Potter's video linked above, as it provides all of the necessary backdrop to what I am about to continue on about (no seriously, go watch it, then come back... this article isn't going anywhere and it will really help you out). It is important to note that on January 7th, 2018, SpaceX launched a highly classified item into space (low earth orbit) aboard a Falcon 9 rocket, otherwise known as the ZUMA launch, that was so classified, that no one could know a single thing about the item being launched... not the weight, not the orbit, not the shape, color or what it did. Of course, we could watch the launch but the feed was purposely cut at the moment the rocket reached first-stage-booster-separation (this was planned). Moments later, the SpaceX booster rocket landed successfully back onto it's launch pad (we were shown some fuzzy video of this) in-tact, but then learned right after that, that the highly classified payload of the Zuma mission had a major failure. But did it actually fail? Well here's the thing... WE DO NOT KNOW. Not only do we not know, NASA doesn't know, Congress doesn't know... no one knows other than SpaceX and Northrop Grumman. And neither are talking. To anyone. 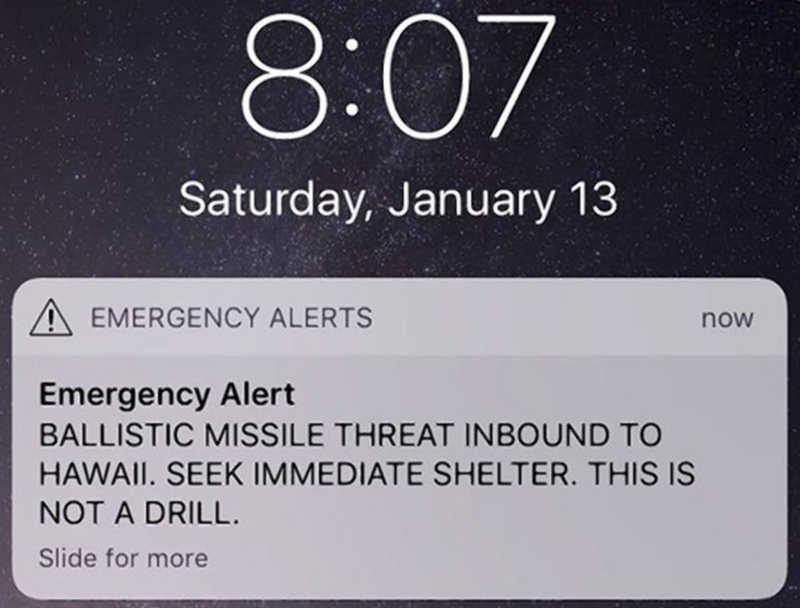 And yet this occurred exactly ONE WEEK before the entire state of Hawaii was sent into utter turmoil. Knowing this may be a bit of a long article for the average Twitter user (I am not referring to the Patriots / Researchers / QAnon crew here... I know you will read all of this... rather, I am referring to the casual user that goes on to get their fix of memes and that's it) I will try to keep the rest of this relatively painless. It was necessary to give you the proper backdrop of how we got to here, otherwise none of this would make any sense. 1. We know as fact, that Hillary Clinton was the "War Hawk" candidate, and was more than willing to engage in a nuclear first-strike. 2. We know as fact, that the DNC is now under incredible stress due to several factors, not the least of which is the now public knowledge that the DNC paid for a fake dossier to help keep Donald Trump from winning the 2016 Election. 3. 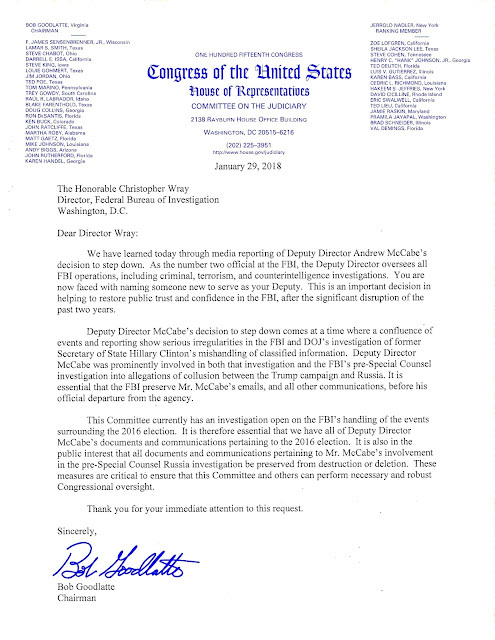 We know as fact, that the DNC may now be facing even bigger issues, including further criminal charges, from a 4 page Classified Document that Republicans are attempting to declassify; it is this document that Republican leaders have stated will end the Meuller investigation into Trump, and will likely lead to incarceration of those involved in wrongdoing in the 2016 Election. 4. We know as fact that that Atlanta Airport, had a historic shutdown of services which included Ground Stops from other airports (preventing departures) on December 17, 2017 at 1:00PM that lasted through Midnight December 18, 2017. This happened, despite the most heavily trafficked airport having redundancy backup plans for such an outage leaving thousands of passengers in the dark (literately), and grounding thousands of flights, the largest of which was Delta and Southwest Airlines that use ATL as a hub. This outage, was deemed "unprecedented" by those working in the industry. In fact many who have contacted me with decades of Commercial airline piloting have stated it's never happened, it could not happen, and that "something was seriously wrong" with the shutdown of Atlanta International airport. The cause of the shutdown: A small electrical fire that no one saw other than two images released by the power company. 5. We know as fact that JFK airport experienced a shutdown following a winter storm, but it was not the storm itself on January 4th that is the issue. Rather, it was a burst water pipe on January 7th, that closed Terminal 4, which caused the stoppage of all international flights for hours. While it's perfectly understandable that a major blizzard would cause a stoppage of flights during a major storm, water pipes bursting do start to raise red flags. It was the second infrastructure released shutdown of a major air hub in a few weeks. 6. We know as fact that there have been an increase in aircraft while in-flight experiencing oddities, mechanical failures and other disturbances causing them to either return to their point of origin or the nearest airport to accommodate their type of aircraft in an emergency situation (hence the following of the #Squawk7700 - General Emergency). 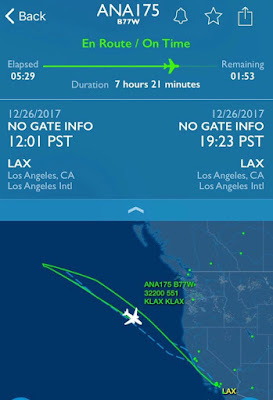 The most notable lately was that of singer John Legend and model Chrissy Teigen's #FlightToNowhere on December 27, 2017 where their Boeing 777 headed to Tokyo from Los Angeles (LAX) flew 4 hours into the Pacific Ocean, then did a 180-degree turn, and flew 4 hours back all due to a passenger with the wrong boarding pass. Commercial pilots again confirmed to me in confidence that this is not appropriate procedure and although its "pilot discretion" none have stated they would have turned that flight around without some other significant situation on board. In fact it's true that people actually die on flights, and the plane continues on to its scheduled destination. People onboard with the wrong boarding pass, well, they would be out of luck. However in this case, the valid question was and still is, "HOW did a person ever get onto an international flight on the incorrect aircraft?" There are all sorts of hurdles to overcome for that to even hypothetically happen... and yet it did. Or did it? The truth is, we will never know. RADAR DATA OF "THE FLIGHT TO NOWHERE"
7. We know as fact that other anomalies have happened recently. Take for example the private Cirrus R22 that was piloted by an anesthesiologist on a volunteer mission to do a dog rescue for a placement service, takes off from Wiley airport in Oaklahoma to Texas, and for unknown reasons, his aircraft just veers off course and heads straight out into the Gulf of Mexico. Things happen, of course, and it's possible that a medical incident occurred, but that isn't the strange part. The strange part occurs when NORAD acknowledges this errant flight, scrambles F16's and F15's to track the aircraft, yet lose it after making visual contact. Both pairs of Fighters need to head home due to low light and fuel, and hand off the tracking to the US Coast Guard. 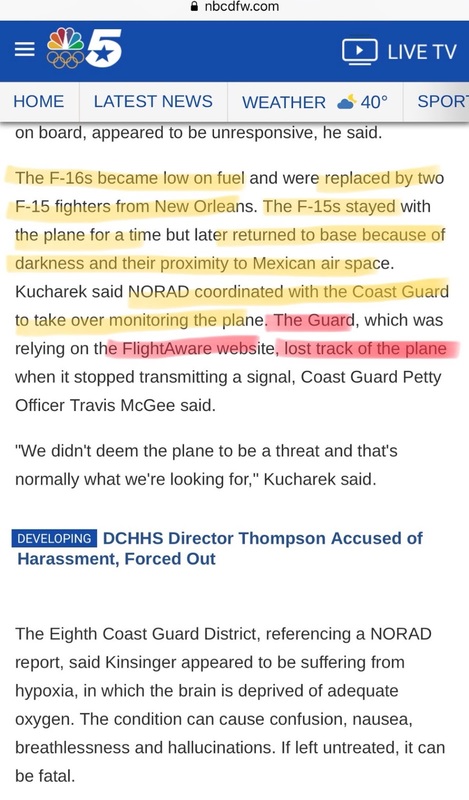 The US Coast Guard, despite having access to the best radars possible, publicly state that they are using a website called "FlightAware" to track the aircraft (not a dig on FlightAware as I use it myself, but then, I am not in the business of protecting our Nation's waters and coastlines). Hopefully you can see the issue with this. a. P3's: "Developed during the Cold War, the P-3's primary mission was to track Soviet Navy ballistic missile and fast attack submarines and to eliminate them in the event of full-scale war. 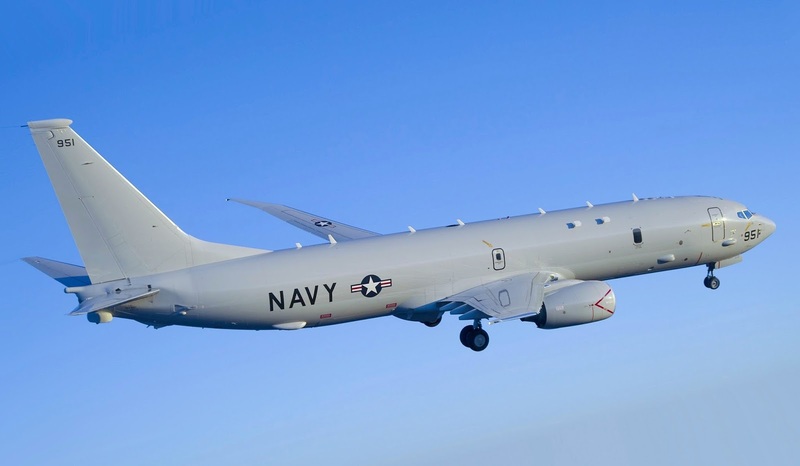 b. P8's: "The P-8 conducts anti-submarine warfare (ASW), anti-surface warfare (ASUW), and shipping interdiction, along with an early warning self-protection (EWSP) ability, otherwise known as electronic support measures (ESM). This involves carrying torpedoes, depth charges, Harpoon anti-ship missiles, and other weapons. It is able to drop and monitor sonobuoys. It is designed to operate in conjunction with the Northrop Grumman MQ-4C Triton Broad Area Maritime Surveillance unmanned aerial vehicle. 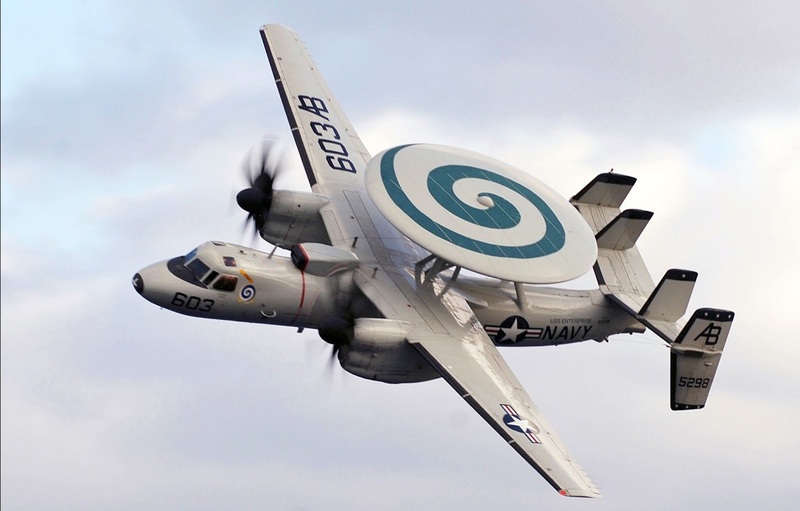 c. E2's: "The Northrop Grumman E-2 Hawkeye is an American all-weather, carrier-capable tactical airborne early warning (AEW) aircraft. The APY-9 radar has been suspected of being capable of detecting fighter-sized stealth aircraft, which are typically optimized against high frequencies like Ka, Ku, X, C, and parts of the S-bands. 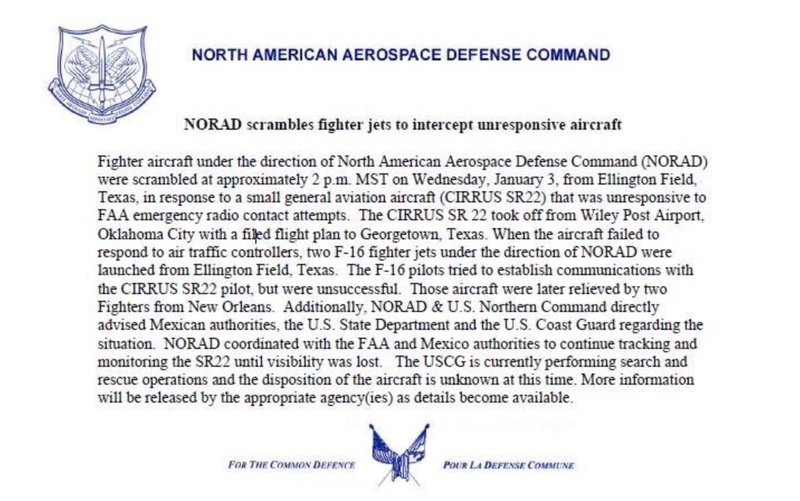 Small aircraft lack the size or weight allowances for all-spectrum low-observable features, leaving a vulnerability to detection by the UHF-band APY-9 radar, potentially detecting fifth-generation fighters like the Russian Sukhoi Su-57 and the Chinese Chengdu J-20 and Shenyang J-31. Historically, UHF radars had resolution and detection issues that made them ineffective for accurate targeting and fire control; Northrop Grumman and Lockheed claim that the APY-9 has solved these shortcomings in the APY-9 using advanced electronic scanning and high digital computing power via space/time adaptive processing. According to the Navy's NIFC-CA concept, the E-2D could guide fleet weapons, such as AIM-120 AMRAAM and SM-6 missiles, onto targets beyond a launch platform's detection range or capabilities." 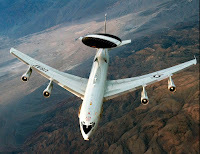 d. E-3 Sentry: "The Boeing E-3 Sentry, commonly known as AWACS, is an American airborne early warning and control (AEW&C) aircraft developed by Boeing." The E-3 Sentry is a modified Boeing 707/320 commercial airframe with a rotating radar dome. The dome is 30 feet (9.1 meters) in diameter, six feet (1.8 meters) thick, and is held 11 feet (3.33 meters) above the fuselage by two struts. It contains a radar subsystem that permits surveillance from the Earth's surface up into the stratosphere, over land or water. The radar has a range of more than 250 miles (375.5 kilometers). The radar combined with an identification friend or foe, or IFF, subsystem can look down to detect, identify and track enemy and friendly low-flying aircraft by eliminating ground clutter returns that confuse other radar systems. Major subsystems in the E-3 are avionics, navigation, communications, sensors (radar and passive detection) and identification tools (IFF/SIF). The mission suite includes consoles that display computer-processed data in graphic and tabular format on video screens. Mission crew members perform surveillance, identification, weapons control, battle management and communications functions. The radar and computer subsystems on the E-3 Sentry can gather and present broad and detailed battlefield information. This includes position and tracking information on enemy aircraft and ships, and location and status of friendly aircraft and naval vessels. The information can be sent to major command and control centers in rear areas or aboard ships. In time of crisis, this data can also be forwarded to the president and secretary of defense. 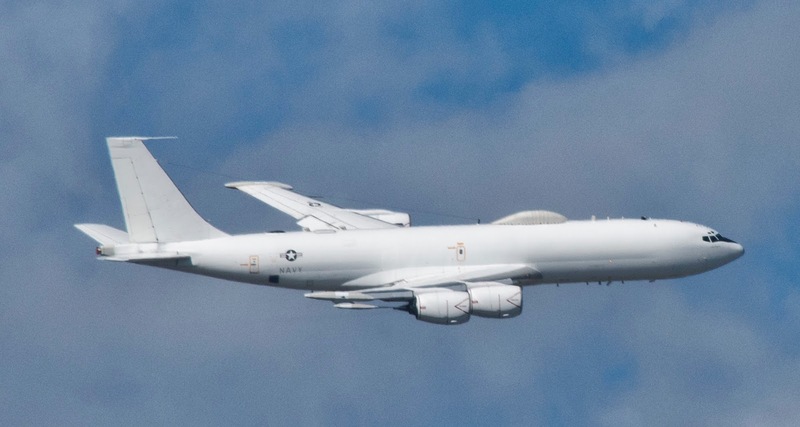 As an air defense system, E-3s can detect, identify and track airborne enemy forces far from the boundaries of the United States or NATO countries. It can direct fighter-interceptor aircraft to these enemy targets. Experience has proven that the E-3 Sentry can respond quickly and effectively to a crisis and support worldwide military deployment operations. 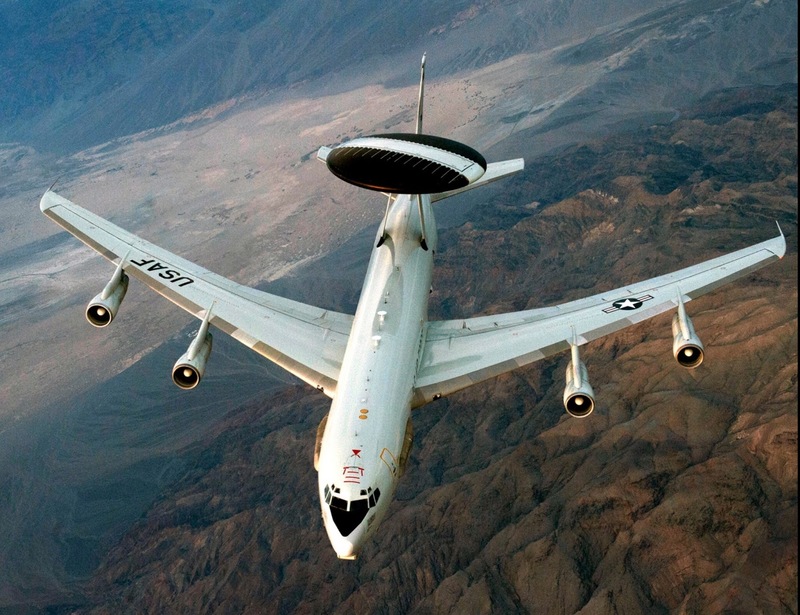 AWACS may be employed alone or horizontally integrated in combination with other C2BM and intelligence, surveillance, and reconnaissance elements of the Theater Air Control System. It supports decentralized execution of the air tasking order/air combat order. The system provides the ability to find, fix, track and target airborne or maritime threats and to detect, locate and ID emitters. It has the ability to detect threats and control assets below and beyond the coverage of ground-based command and control or C2, and can exchange data with other C2 systems and shooters via datalinks. With its mobility as an airborne warning and control system, the Sentry has a greater chance of surviving in warfare than a fixed, ground-based radar system. Among other things, the Sentry's flight path can quickly be changed according to mission and survival requirements. The E-3 can fly a mission profile approximately 8 hours without refueling. Its range and on-station time can be increased through in-flight refueling and the use of an on-board crew rest area. The E-4B serves as the National Airborne Operations Center and is a key component of the National Military Command System for the President, the Secretary of Defense and the Joint Chiefs of Staff. In case of national emergency or destruction of ground command and control centers, the aircraft provides a highly survivable command, control and communications center to direct U.S. forces, execute emergency war orders and coordinate actions by civil authorities. The conduct of E-4B operations encompasses all phases of the threat spectrum. Additionally, the E-4B provides outside the continental United States travel support for the Secretary of Defense and his staff to ensure Title 10 command and control connectivity. The E-4B, a militarized version of the Boeing 747-200, is a four-engine, swept-wing, long-range high-altitude airplane capable of refueling in flight. The main deck is divided into six functional areas: a command work area, conference room, briefing room, an operations team work area, communications area and rest area. An E-4B may include seating for up to 112 people, including a joint-service operations team, Air Force flight crew, maintenance and security component, communications team and selected augmentees. 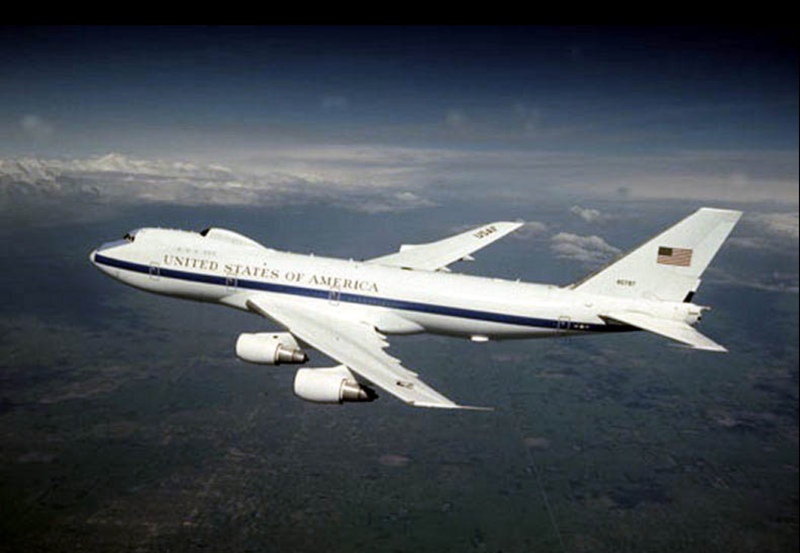 The E-4B is protected against the effects of electromagnetic pulse and has an electrical system designed to support advanced electronics and a wide variety of communications equipment. An advanced satellite communications system provides worldwide communication for senior leaders through the airborne operations center. Other improvements include nuclear and thermal effects shielding, acoustic control, an improved technical control facility and an upgraded air-conditioning system for cooling electrical components. To provide direct support to the President, the Secretary of Defense, and the JCS, at least one E-4B NAOC is always on 24-hour alert, 7-days a week, with a global watch team at one of many selected bases throughout the world. In addition to its national and NC2 mission, the E-4B provides support to the Federal Emergency Management Agency, which provides communications and command center capability to relief efforts following natural disasters, such as hurricanes and earthquakes. Air Force Global Strike Command is the Air Force single-resource manager for the E-4B, and provides aircrew, maintenance, security and communications support. E-4B operations are directed by the JCS and executed through U.S. Strategic Command. USSTRATCOM also provides personnel for the joint airborne operations center battle staff. f. E6B: "The Boeing E-6 Mercury (formerly E-6 Hermes) is an airborne command post and communications relay based on the Boeing 707-320. The original E-6A manufactured by Boeing's defense division entered service with the United States Navy in July 1989, replacing the EC-130Q. This platform, now modified to the E-6B standard, conveys instructions from the National Command Authority to fleet ballistic missile submarines (see communication with submarines), a mission known as TACAMO (TAke Charge And Move Out). The E-6B model deployed in October 1998 also has the ability to remotely control Minuteman ICBMs using the Airborne Launch Control System." "Codenamed Looking Glass, it is United States Strategic Command (USSTRATCOM)'s Airborne Command Post (ABNCP), designed to take over in case the Global Operations Center (GOC), located at Offutt Air Force Base, Nebraska, is destroyed or incapable of communicating with strategic forces. The term "Looking Glass" is used because the ABNCP "mirrors" the abilities of the US Strategic Command GOC to control nuclear forces. The E-6 fleet is based at Tinker Air Force Base, Oklahoma, and operated by Fleet Air Reconnaissance Squadron 3 (VQ-3), VQ-4, and VQ-7." 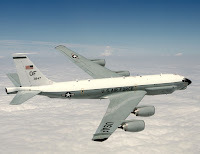 The RC-135U Combat Sent provides strategic electronic reconnaissance information to the president, secretary of defense, Department of Defense leaders, and theater commanders. Locating and identifying foreign military land, naval and airborne radar signals, the Combat Sent collects and minutely examines each system, providing strategic analysis for warfighters. Collected data is also stored for further analysis by the joint warfighting and intelligence communities. The Combat Sent deploys worldwide and is employed in peacetime and contingency operations. 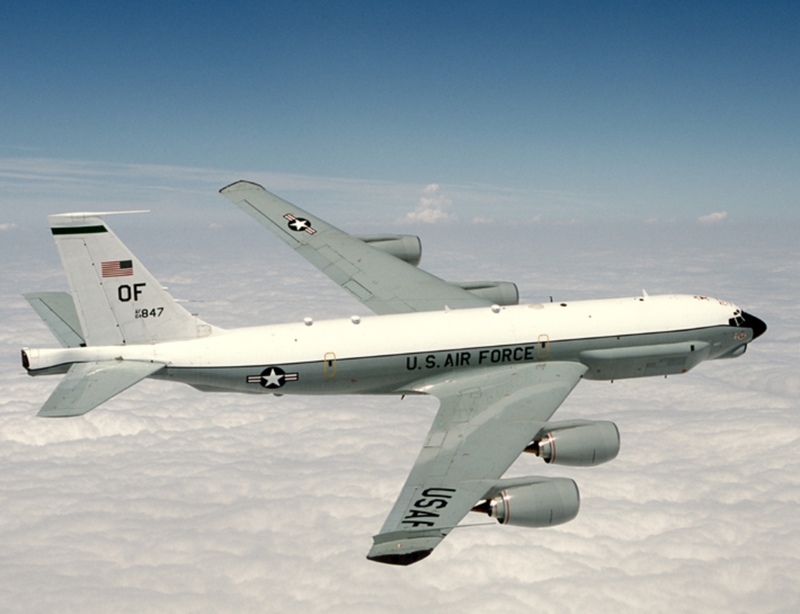 All RC-135U aircraft are equipped with an aerial refueling system, giving it an unlimited flying range. Communication equipment includes high frequency, very high frequency, and ultra high frequency radios. The navigation equipment incorporates ground navigation radar, a solid state Doppler system, and an inertial navigation system that merges celestial observations and Global Positioning System data. Although the flight crew stations are similarly configured, the reconnaissance equipment is slightly unique within each airframe. The aircraft are identified by their distinctive antennae arrays on the "chin" and wing tips, large cheek fairings, and extended tail. Crew composition includes two pilots, one navigator, two airborne systems engineers, and a minimum of 10 electronic warfare officers, or "Ravens," and six or more electronic, technical, and area specialists. There are only two Combat Sent aircraft in the Air Force inventory and both are assigned to the 55th Wing at Offutt AFB, Neb. The RC-135U aircraft are manned by Air Combat Command crews from the 45th Reconnaissance Squadron and the 97th Intelligence Squadron (of the Air Force Intelligence, Surveillance and Reconnaissance Agency). The Combat Sent is composed of a wide variety of commercial off-the-shelf and proprietary hardware and software. Its current configuration allows for both manual and automatic analysis of electronic signals. By combining manual systems with the Automatic Electronic Emitter Locating System, Ravens and intelligence specialists can simultaneously locate, identify, and analyze multiple electronic signals. The Combat Sent records these signals for future reference or for extensive analysis by electronic systems theorists. Any information garnered from the data will help determine detailed operating characteristics and capabilities of foreign systems. Evasion techniques and equipment are then developed from this knowledge that will detect, warn of, or defeat these electronic systems. I understand that it may be difficult at times to follow my social media feeds. That is understandable. What I generally tend to do is put out facts in real-time, allowing for the collection of data, then coming back and explaining why I did the posts in the first place. In addition, I also tend to think in "big picture" format, meaning, I have already committed to memory past events, pertinent data, information from news media, etc., and then add data I find and post it with the intent on summarizing it later on. More or less "Connecting the Dots" for everyone. At times, this may confuse people, and I apologize as that is never the intent. However, if you stick with me, or at least check in periodically, you will see that what has initially been confusing, all of a sudden will be clear as day. 4. Flights with increasing "Emergency Situations"
9. We have SpaceX and Military Contractors running amok sending items into space without Congressional oversight... hell even NASA doesn't know what they sent up! If we've learned anything, history tends to repeat itself, and I have no doubt we are witnesses to such an time right now. The #QAnon phenomenon has opened up the eyes of many that may otherwise be asleep, and that is a great thing. It is now important that everyone who is "woke" learn to understand that at times, information comes in drips and drabs, and doesn't always make sense initially. Think like a detective; observe a crime scene, interview witnesses, interview victims, photograph the scene, collect evidence, collect DNA, collect things that seem irrelevant at the time, continue to question everyone and everything, create a hypothesis, use the scientific method to validate that hypothesis. If it doesn't pan out, start again. Eventually, this will all become second nature, and the past really will help you to predict the future. When we see an influx of military aircraft with the CAPABILITIES that these aircraft have, coupled with geopolitical events like Russian submarines or ships off the shores of the US, or UN forces or Russian forces possibly embedded on US soil (or at the very least, UN / Russian spies) then it's no doubt reconnaissance flights are airborne... but the extent of which is fairly vast right now. With false ICBM Nuclear Missile Warnings for Hawaii and Japan happening, one must question if it was just an accident or coincidence. Or was it something more? What is the most reasonable scenario here? I won't answer that question for you, but I will help collect the data for you. 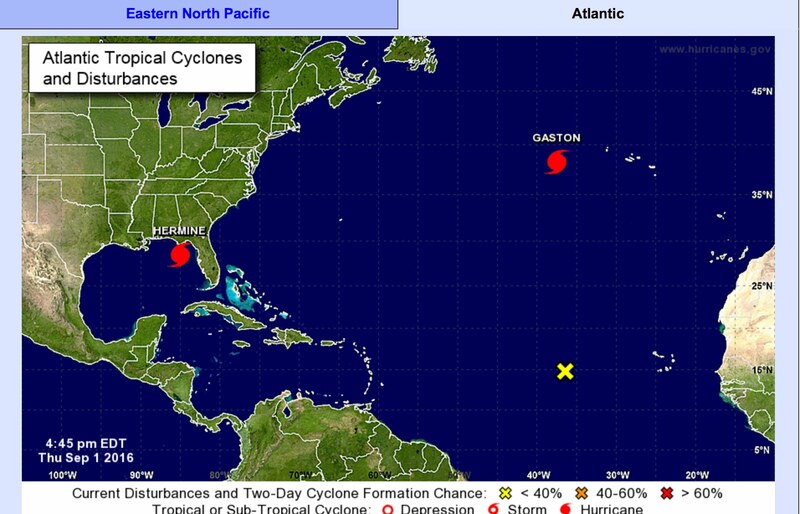 From there, draw your own conclusions... and never be afraid to question.